Nine hundred years ago, in the eleventh century, Cluny monks built a monastery in a small clearing near the Dordogne River. A village soon developed around the abbey, a château was built next door and high walls protected the occupants. 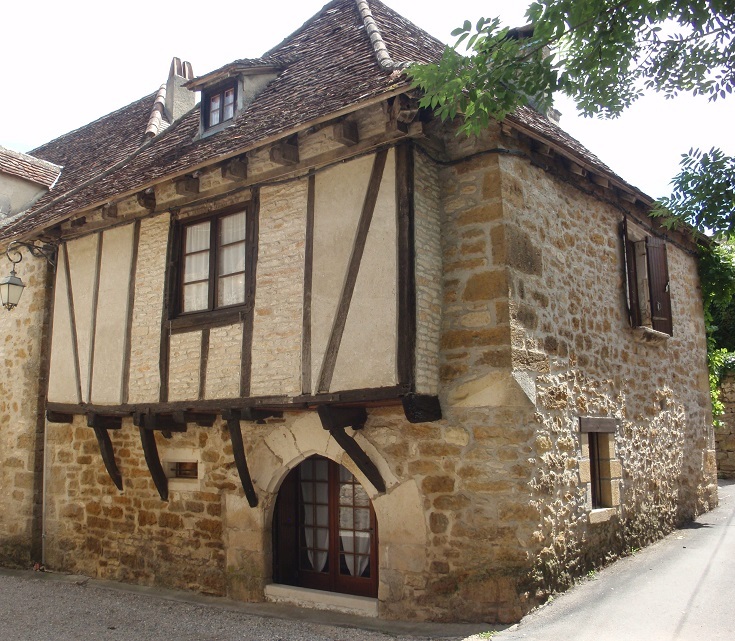 Today, this slice of medieval history, known as Carennac, is classified among France’s ‘most beautiful villages’. 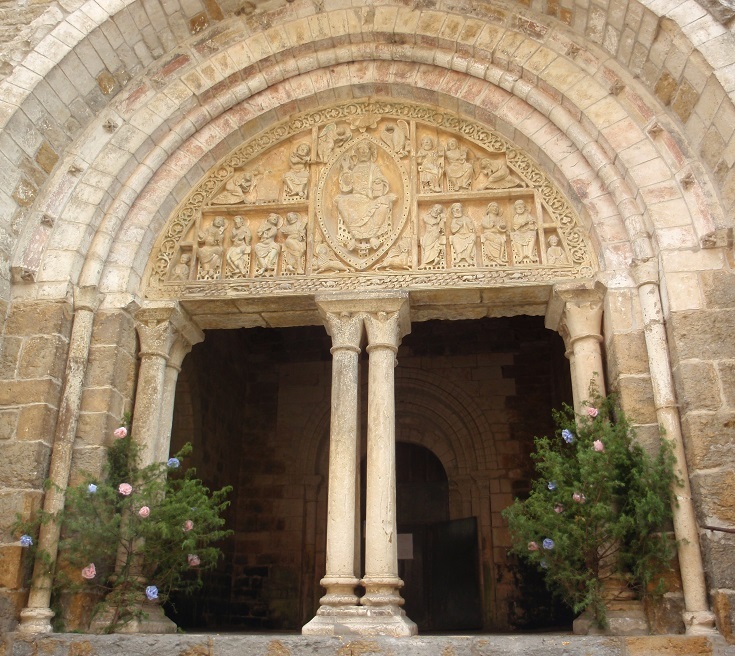 The focal point of Carennac is the church of Saint-Pierre with its magnificent entrance and ornately carved tympanum which dates from the twelfth century. 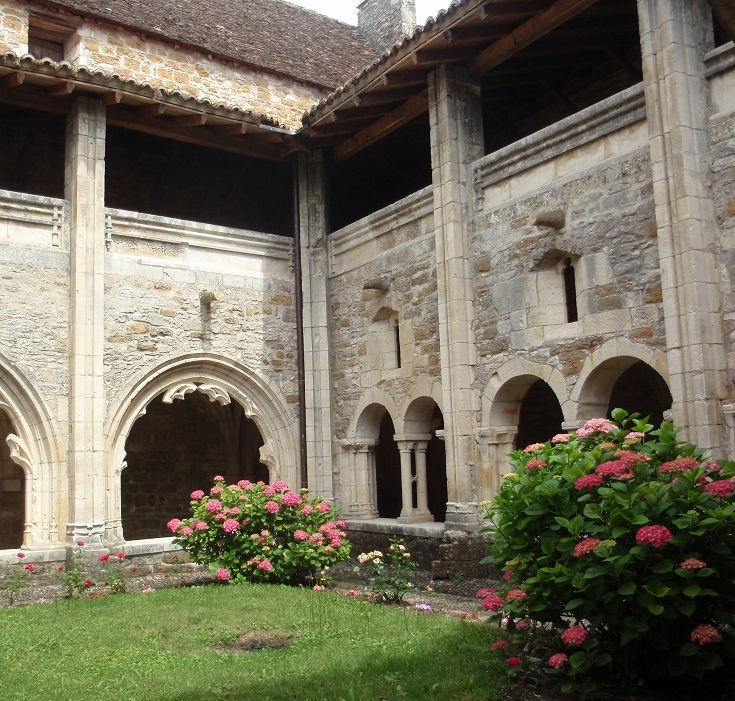 Equally impressive is the adjoining cloister which was built in the fourteenth century following the Hundred Years War. 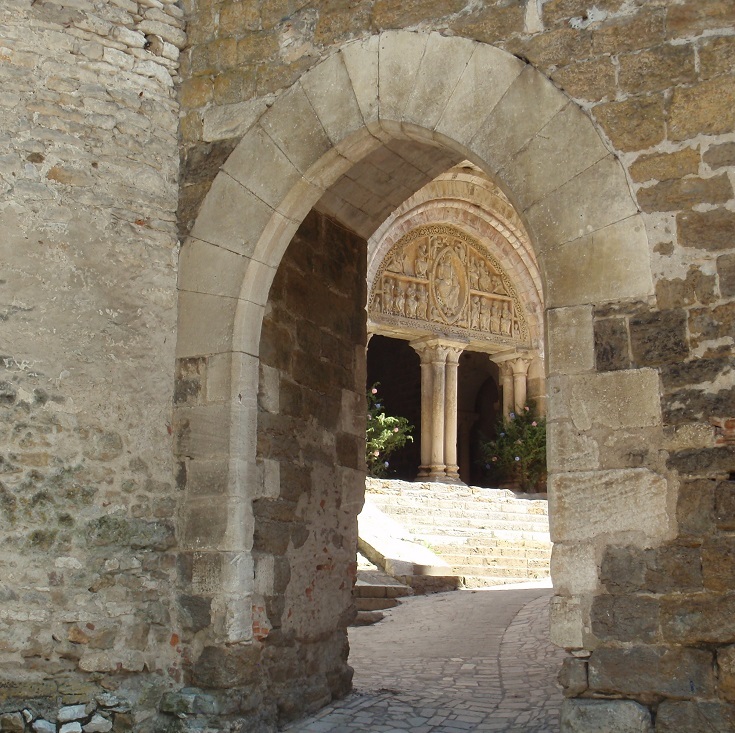 Entry to the church is free but entry to the cloister requires a token purchased from the Tourist Office (be sure to purchase one before the office shuts for the day—or for lunch). Ask also for a map of the village, marked with almost twenty points of interest. You’ll find tiny chapels and ancient timbered houses—many tucked away in side streets that you might not otherwise explore. 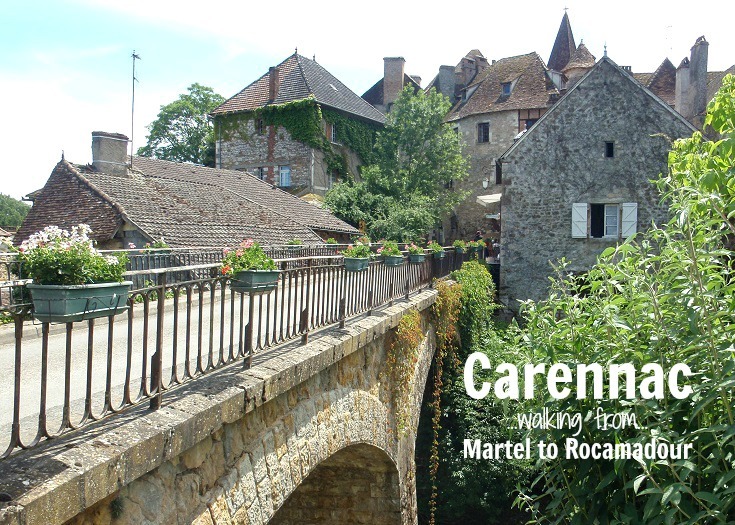 What will you see as you wander around Carennac? 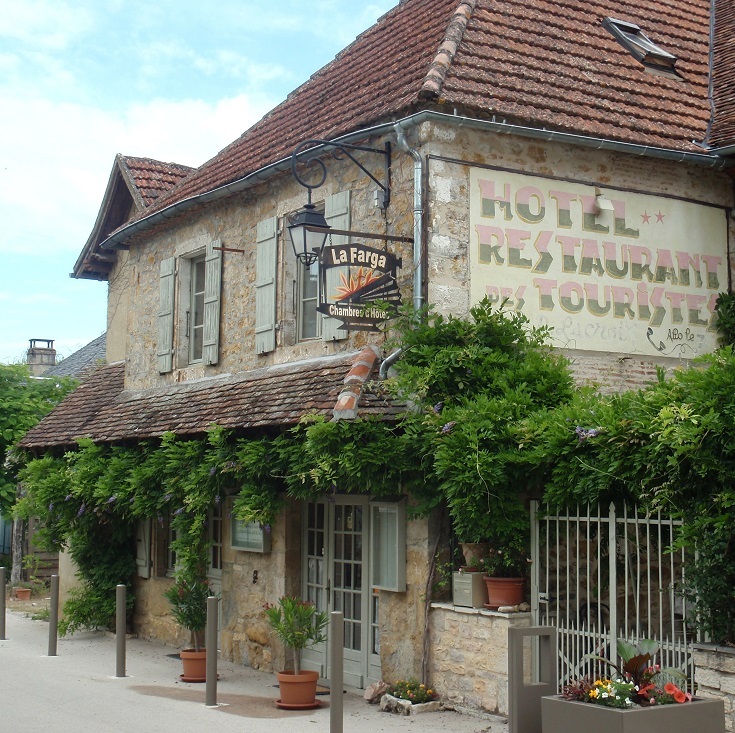 Carennac is 16 kilometres (10 miles) from Loubressac and I recommend spending the night here on the sixth day of your walk. 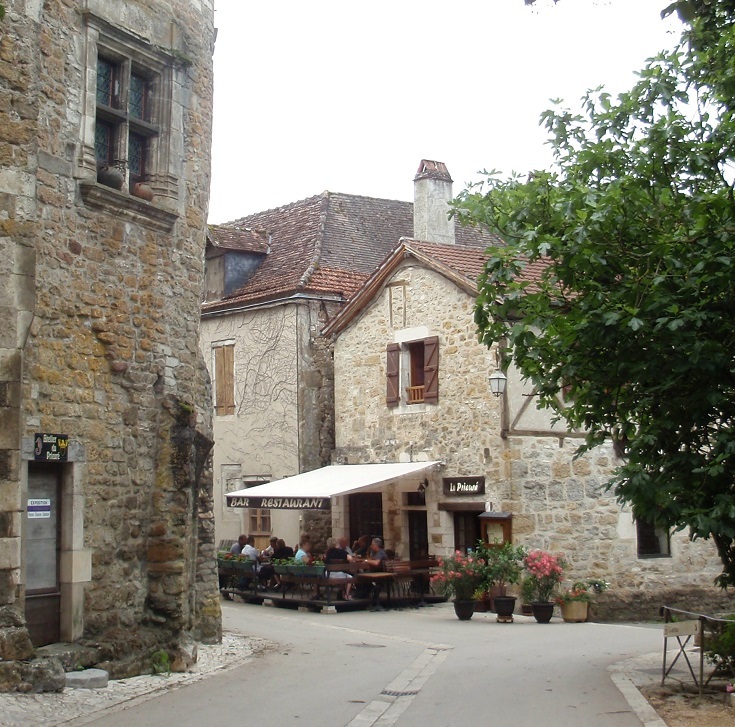 You’ll find the Tourist Office squeezed between Église Saint-Pierre and the adjoining cloister. 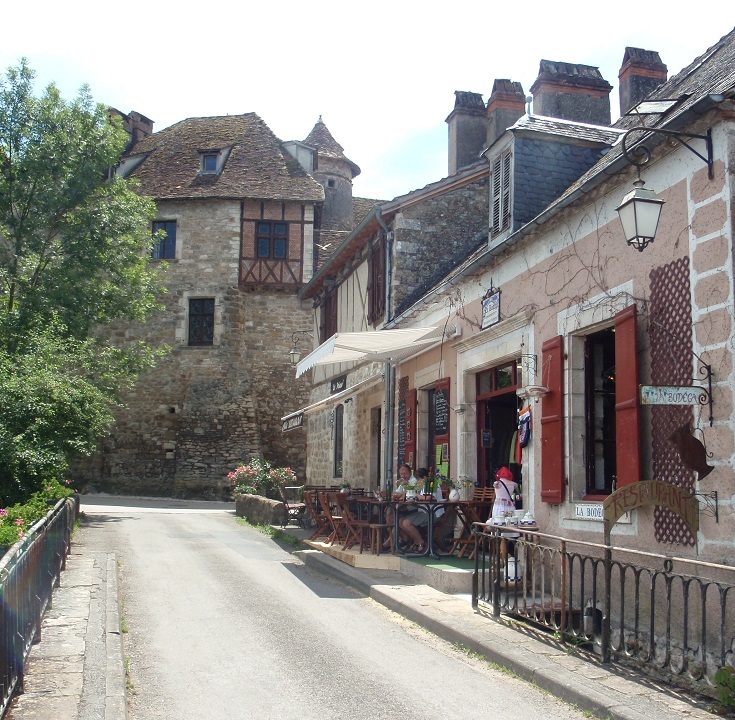 You’ll find several cafés, a bakery (boulangerie) and supermarket in the village where you can stop for lunch or dinner, buy picnic supplies or stock up on trail mix. A local produce market is held in Parc du Château on Tuesday evenings in July and August. La Bodega café—for the food and the gift shopping!